This area was settled during time of Neolite and early Bronse Age. During time of Greeks and Roman empire, area became connected with suroounding towns. In 7th century Anno Domino, Slaven tribes are settled and start to organize comunes. During 10th century, comunes are adjoned to the first organized principality of Zeta. Dubrovnik and it's Republic started to grow rapidly and became commercial and navy lider of region, making problems in trade for Bosnian king Tvrtko the First. His ansver to demand in trade was settling the New town on the shores of Bay of Kotor. In 1382 the town is erected and named Sveti Stefan, but people don't recognise, naming it Novi (new). During the time name got prefix Herceg by title of the Duke. Otoman Impery capture the town in 1482, setlling the pirate stronghoold. During short 10 months in 1538 League of Nations with Spniards captured the Town. 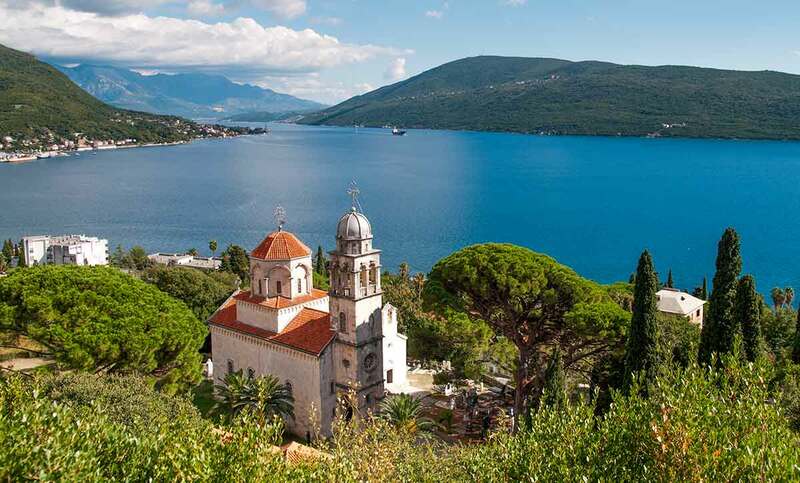 In the year of 1687 Herceg Novi is liberated by Venetian Republic, giving the local people wide autonomy. Venice fall in 1797, and whole bay of Kotor was under the Austro Hungarian Empire untill 1806, when some trumendeous years occured: Russian fleet, then France with Napoleon, and in 1818 Austrohungarian took whole bay again. Just by the end of WWI this area was liberated and became part of Montenegro. 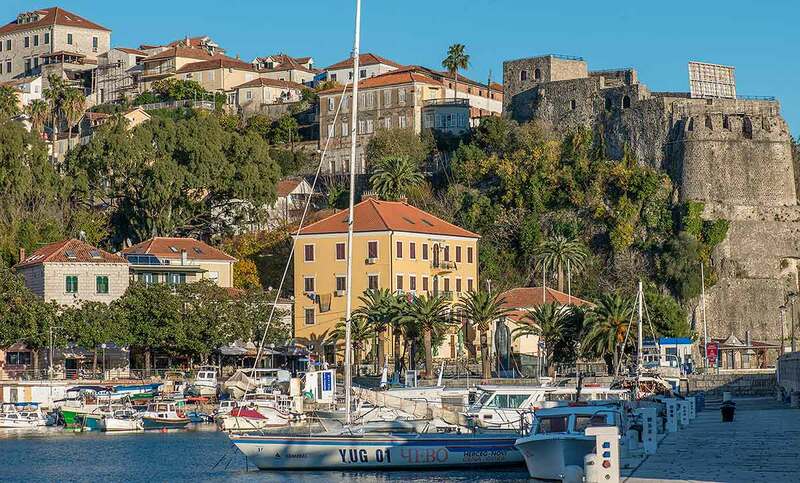 Whole region of Bay of Kotor is under infulence of Mediterreanean climate (mild winters, hot summers). Summers are hot, but freshed by daily breeze of mild winds from our mountains. Winter temperature are mostly above zero. Snow can fall but won't stay overnight. Summer temperatures are between 25 to 34°C, with day maximum at 37°C. Mid anual temperature is 16.2°C (very simmilar to Naples or Lisboa), with daily fluctuation of just 4°C. Swimming season is almost half year long. 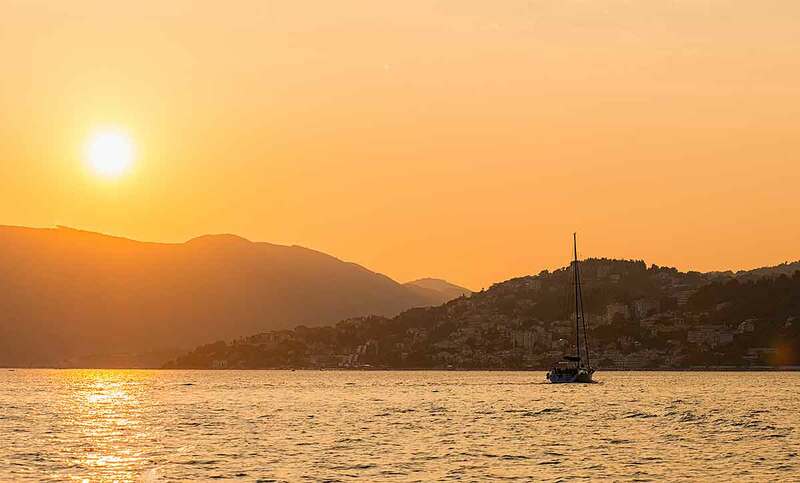 Start at May and last until mid of October, with sea temperature between 22 and 26°C. 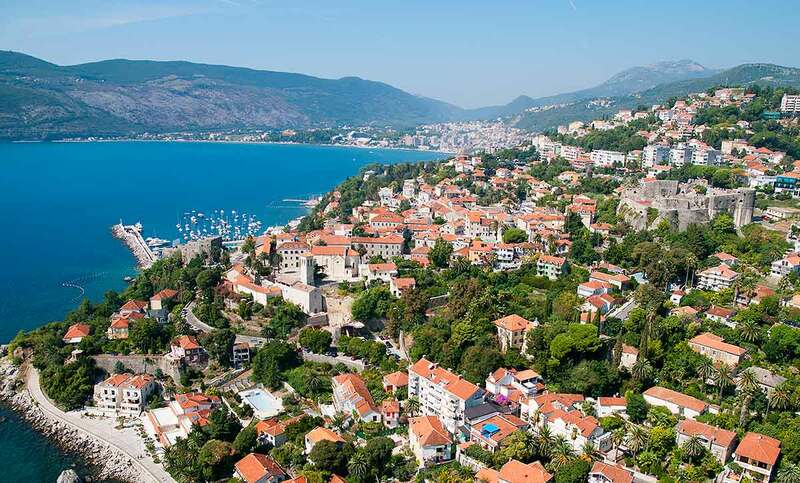 Herceg Novi have the longest promenade at Adriatic coast - 7km of pedestrian walkway next to the sea. The most known is balneo therapy spa and recreational centre in Igalo (just 250m from our hotel) specialized for vascular and skin problems. 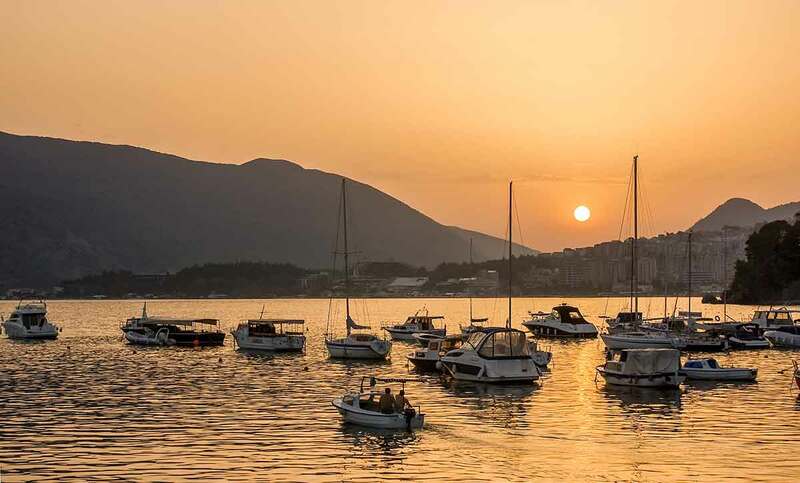 Year arround, Herceg Novi is host of many festivals and public events: Mimosa festival, April theatre days, Film festival, Music festival of clasic guitar, jazz festival, as well as festival of popular music. 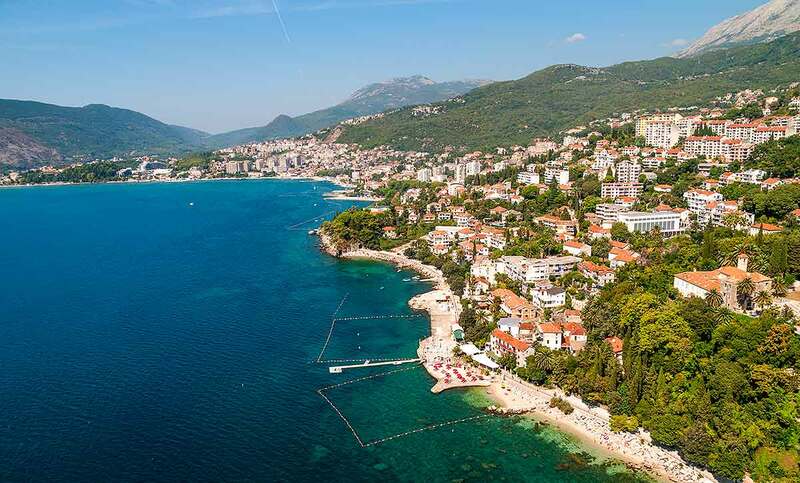 Njivice - the beach and tourist complex overlooking at the beautiful town of Herceg Novi, some 3km away from our hotel. Rose - west facing, got name by it's remarcable sunset views, the old fisherman village that became Hedonist hiddaway. Kanli Kula - (bloody fortress) Was part of powerfull town walls. Today it's summer stage. This big tower stand on the top of the hill overlooking the whole town. Španjola - Fortress named after famous Siege of Castelnuovo. It's autonomous square shaped fortification on top of the town. It was used as garnison until the end of WWII. Today it's the best preserved medieval fortress on Adriatic coast. Local Museum - The museum house is the foundation of Komnenović family, by his will and wish it became Local museum. Museum collection is divided in four: Historical keeping the memories of Herceg Novi's history, Archeological with artefacts from prethistory to medieval period, Etnological - houses objects form the traditional culture of region, and Icon collection - with more than 30 icons from the iconographics schools from the Bay of Boka Kotorska. Savina Montastery- the Orthodox Gem in dense Mediternskoj vegetation. Complex of three churches dated from 10th to 17th century. Houses valuable relics originating from the time of Nemanjic family rule (relics of Empress Helena, the cross of Saint Sava) and some transferred from the monastery Tvrdoš.